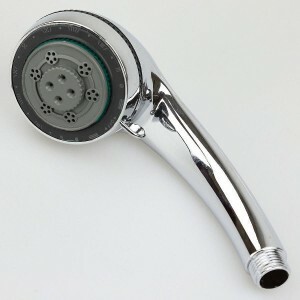 This shower head with 5 functions will surely give you pleasure. Decide between the spray modes Jet, Massage, spray, jet / massage and spray / massage and treat yourself to a real showering pleasure. The sprayed handle is easy to clean, a lever on the hand shower makes it easier to set the desired shower function .